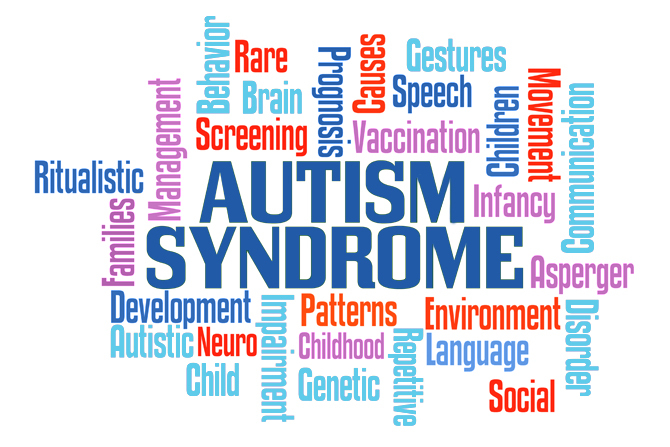 The exact causes of Autism Spectrum Disorder (ASD) are unknown, although it is thought that several complex genetic and environmental factors are involved. Secondary ASD – where an underlying medical condition or environmental factor thought to increase the risk of ASD is identified. About 90% of cases of ASD are primary, and about 10% are secondary. Certain genetic mutations may make a child more likely to develop ASD. Most researchers believe that certain genes a child inherits from their parents could make them more vulnerable to developing ASD. Cases of ASD have been known to run in families. For example, younger siblings of children with ASD have an increased risk of developing the condition themselves and it is common for identical twins to both develop ASD. At present, however, no specific genes linked to ASD have been identified and there are currently no tests that can screen for 'ASD genes'. However, the specialist seeing your child may screen them for genetic conditions that have similar features to ASD, depending on any additional symptoms your child has. During pregnancy, a child may be exposed to certain environmental factors that could increase the risk of developing ASD. Some researchers have argued that ASD is not primarily caused by genes, but also by environmental factors. The theory is that a person is born with a vulnerability to ASD, but the condition develops only if that person is exposed to a specific environmental trigger. Some suggested environmental factors include being born before 35 weeks of pregnancy (premature birth) and exposure to alcohol or medications such as sodium valproate (a medication sometimes used to treat epilepsy) during pregnancy. People with ASD may think in certain ways that contribute towards their symptoms. Much of the research into the possible psychological factors behind ASD is based on a concept known as 'theory of mind' (TOM). This is a person's ability to understand other people's mental states, recognising that each person they meet has their own set of intentions, beliefs, emotions, likes and dislikes. It is thought that most children without ASD have a full understanding of theory of mind by around the age of four. Children with ASD develop a limited understanding or no understanding at all of theory of mind. This may be one of the root causes of their problems with social interaction and may explain some of the psychological features of ASD, such as a tendency towards needing an order or routine and getting lost in detail rather than seeing the bigger picture. Specific problems with the development of the brain and nervous system could contribute to the symptoms of ASD. Medical theories and brain imaging studies carried out in people with ASD suggest that the connections between parts of the brain called the cerebral cortex, the amygdala and the limbic system may have become scrambled or ‘over connected’. As a result, people with ASD may suddenly experience an extreme emotional response when seeing a trivial object or event. This may be a reason why people with ASD are fond of routines, as they have found a set pattern of behaviour that does not provoke an extreme emotional response. It may also explain why they often become very upset if that routine is suddenly broken. This confusion of emotional responses may also explain why children with ASD are interested in topics that most children would find boring, such as train timetables or have altered or exaggerated responses to sensory stimulation such as tastes, sounds, noises, smells. Fragile X Syndrome – an uncommon genetic condition that usually causes certain facial and bodily characteristics, such as a long face, large ears and flexible joints. Tuberous Sclerosis – a rare genetic condition that causes multiple non-cancerous tumours to grow throughout the body, including the brain. Rett Syndrome – a rare genetic condition that mostly affects girls. It causes symptoms of ASDs, and difficulties with physical movement and development. Neurofibromatosis – a number of genetic conditions that cause tumours to grow along your nerves. The main types are neurofibromatosis type 1 and neurofibromatosis type 2. Muscular Dystrophy – a group of inherited genetic conditions that gradually cause the muscles to weaken, leading to an increasing level of physical disability. Down’s Syndrome – a genetic condition that typically causes some level of learning disability and a characteristic range of physical features. Cerebral Palsy – conditions that affect the brain and nervous system, causing problems with a child's movement and coordination. Infantile Spasms – a type of epilepsy that develops while a child is still very young (usually before they are one year old). Intellectual Disability – about half of those diagnosed with Autism have an IQ below 70 (the average IQ is 100).